The Airline 93WG-602B is normally offered with brown bakelite or ivory painted cabinet options. This particular example came with the middle grille louver missing, so I replaced it with a piece of plexiglass and painted the cabinet. While I rarely go for a non-original paint color scheme, the combination of black and gray came out very nicely. 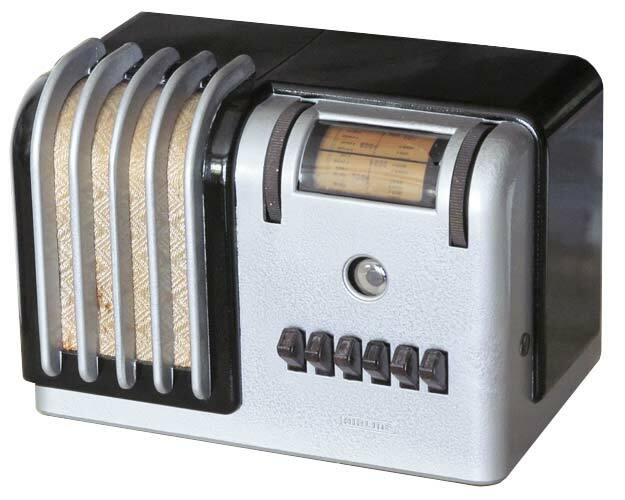 The radio has a simple AA5 (All-American 5) circuit with a tuning eye and originally sold for $13.95 in 1939.